Kim Chong Tin Hopia Factory - Manila's finest Hopia. Welcome to Kim Chong Tin Hopia Factory's website. We proudly serve Manila's Finest Hopia, pugon baked Hopia made the old fashioned way. 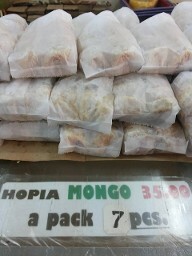 Come in for fresh and delicious Hopia today!